Four years ago I released my first adventure "The Caverns Of Ugard", which started my publishing journey. I've learned a LOT since then. I think with every adventure I get a teeny bit better. So far, the only adventure that may have been a step back was "Mad God's Jest", at least writing wise. I did have a lot of fun with that one though. Ugard is this terrible minotaur, that I sort of modelled after Jabba The Hutt. The name Ugard is notorious with pain and fear! Thru-out the surrounding lands Ugard and his minions threaten, bully and extort money and lives. The vile Minotaur is holed up in some caves on the outskirts of town. 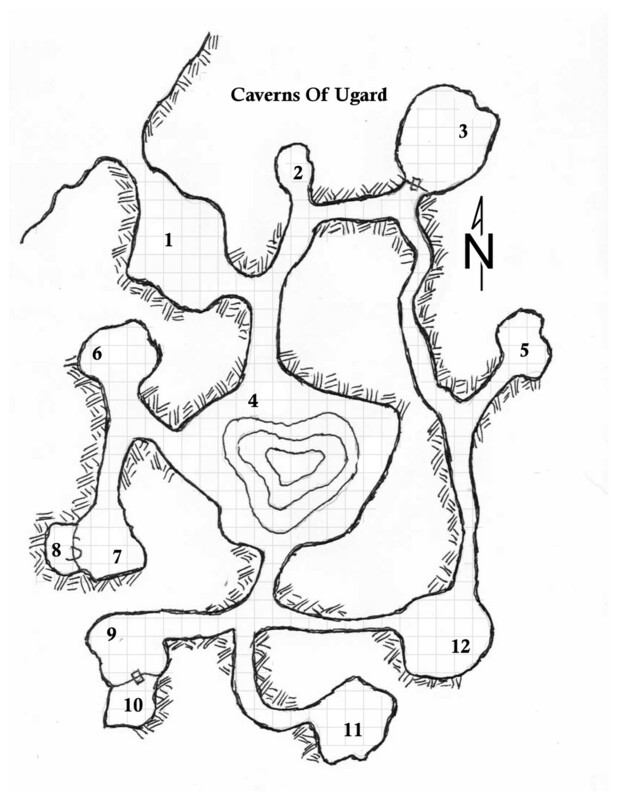 This OSR compatible one page dungeon can easily be placed into any campaign for a night of fun! You can download it here: It's pay what you want, like all of my titles. Interesting note, when I wrote gardag, I was originally going to use DRAGU as the name, but totally cocked it up. You know, so that the modules would have something in common. Whoops! Eventually I intend to put all my modules together and put out a book form, with a bunch of extra adventures. While working on that, I re drew the map for ugard (to replace the computer one). Here it is!